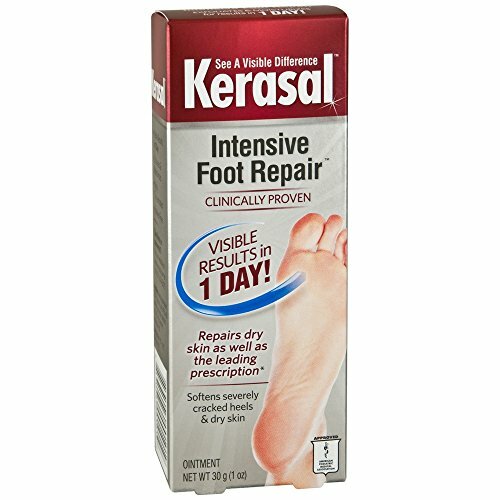 Kerasal One-Step Exfoliating Moisturizer Foot Therapy, 1 oz features a clinically proven formula. It not only softens and smoothes but also moisturizes extremely dry, rough skin. Repair the cracks and calluses on your feet with this formula. It will leave skin healthy and hydrated. You can save time and effort by exfoliating and moisturizing all in one step. This intensive foot repair hydrates the new cell layers in order to soften even the toughest, driest feet. You will see visible results within a day. This Kerasal exfoliating moisturizer foot therapy is a smart choice for those who have dry, rough skin on their feet. If you have any questions about this product by Kerasal, contact us by completing and submitting the form below. If you are looking for a specif part number, please include it with your message.